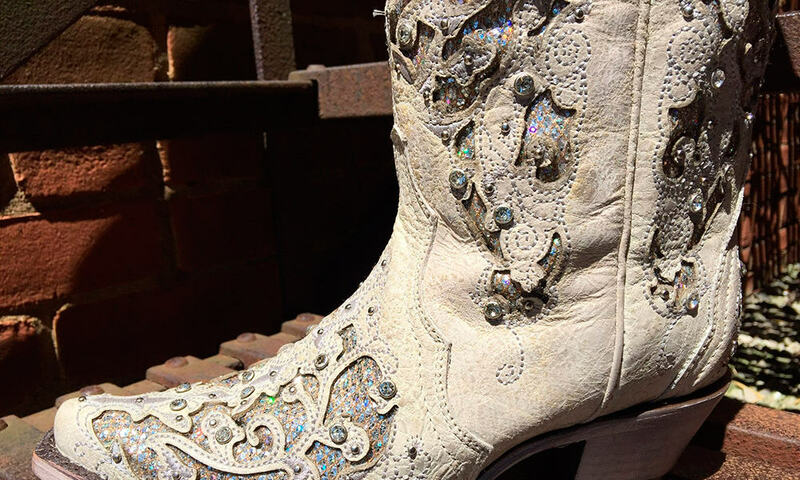 These wedding boots were made for walkin’…down the aisle! PC: Painted Cowgirl Western Store. Keep your boots on! Tie the knot and dance your special day away in elegant cowboy boots that will complement your gown—and delight your groom. Find your perfect wedding boots today at corralboots.com. White Python flowered embroidery with crystals, $337. Bone embroidery & Swarovski ankle boot, $248. Bone crystals & flower cut, $233. White crystals & studs ankle boot, $178. White glitter inlay & crystals, $257.